Faculty members from two UCLA departments combined forces to report on a little-known minority group: Jewish communities in North Africa during the Holocaust. The Holocaust and North Africa, edited by faculty members Aomar Boum and Sarah Abrevaya Stein, was a finalist in the Sephardic Culture category of the 2018 National Jewish Book awards. The book was published by the Stanford University Press. The Holocaust is usually viewed as a European story, but the Holocaust was also widespread in North Africa, whose Jewish populations had lived there for centuries as a tolerated minority. 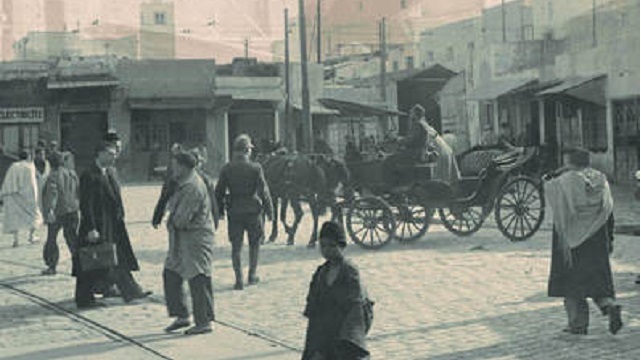 The essays in this volume reconstruct the implementation of race laws and forced labor across the Maghreb during World War II and consider the Holocaust as a North African local affair, which took diverse forms from one locale to another. They explore how the Holocaust ruptured Muslim-Jewish relations, setting the stage for an entirely new post-war reality. The authors exemplify the growing enthusiasm for cross-disciplinary research and instruction on the Middle East at UCLA. Boum is in the Department of Anthropology, where he is an Associate Professor and Vice Chair of Undergraduate Studies. He is also a Faculty Fellow at the Université Internationale de Rabat in Morocco. Abrevaya Stein is a History Professor who specializes in Sephardic studies, and is also director of the Allan D. Leve Center for Jewish Studies. Abrevaya Stein’s earlier books are Extraterritorial Dreams: European Citizenship, Sephardi Jews, and the Ottoman Twentieth Century; Saharan Jews and the Fate of French Algeria; Plumes: Ostrich Feathers, Jews, and a Lost World of Global Commerce; and Making Jews Modern: the Yiddish and Ladino Press in the Russian and Ottoman Empires. She is co-editor of the Stanford University Press Series in Jewish History and Culture, and of Indiana University’s journal Jewish Social Studies. With support from the Guggenheim Foundation, she is now working on a new book: Family Papers: a Sephardi Journey through the Twentieth Century.